I don’t know where you live, but summers are HOT here in Georgia. We have a never-ending supply of homemade ice pops in the freezer and the kids know that as long as we’re going to the pool, I’ll make avocado chocolate mousse over black bean brownies any day because the mouse doesn’t require the oven! We do our best to not cook our meals as often as possible in the summer, in order to keep the house cool. If I do need to bake or cook something, we’ll do it in the morning before the sun is beaming through the windows. It took some time to get into a no-cook groove, but now that we’ve done it for a few weeks, it’s become second nature. I thought I’d share a few of my favorite recipes in a one week no-cook meal plan, in case it’s blistering hot where you live too! Click HERE to download the One Week No Cook Meal Plan with recipes and shopping list. 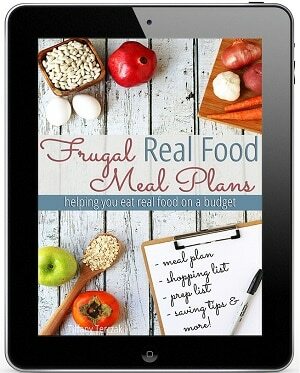 100% real food no-cook recipes that are simple, straight-forward and family friendly. All of the recipes are easy to make and can easily be made in under an hour (no cooking!). A couple of store-bought items for things I usually make from scratch (breads, beans, cooked chicken). Feel free to make these items from scratch if you prefer. I purchased these items in this meal plan to make it completely no-cook. 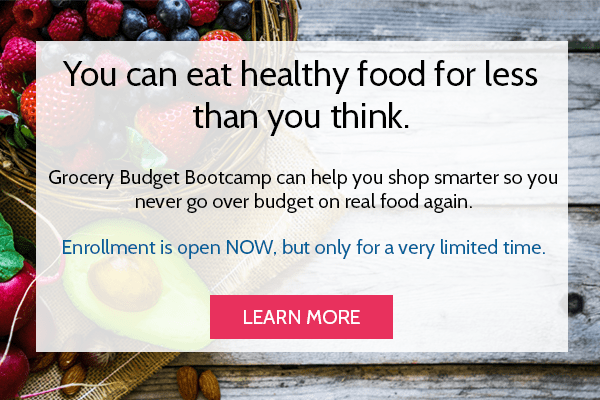 This plan is not tied to a specific grocery store or price point. 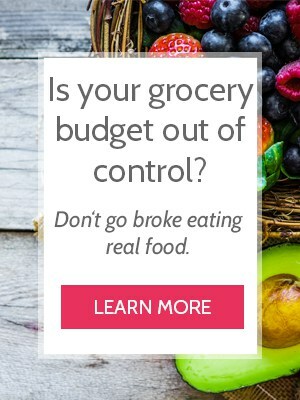 Not everyone has access to the discount grocery stores like ALDI or Grocery Outlet. Even though I did not tie this specific plan to a price point (like my $50 ALDI meal plan), it is still frugal and budget-friendly. Without a discount grocery store, this plan rings in about $60. However, if you can do your grocery shopping somewhere such as ALDI or Walmart (here’s a side-by-side comparison between those two stores), you can easily shave $10 (or more) off of your grocery bill. Spices, oils, mustards and vinegar. We aren’t using an enormous amount of these in this plan and you probably already have them in the pantry. 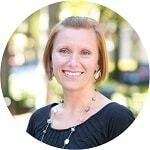 Precautions for food allergies. My family is blessed to not have food allergies, so I don’t plan for them in my meal plans. With a few tweaks, I think this no-cook meal plan would work in most food allergy families too. If you’re diary-free, you’re used to subbing anyway. 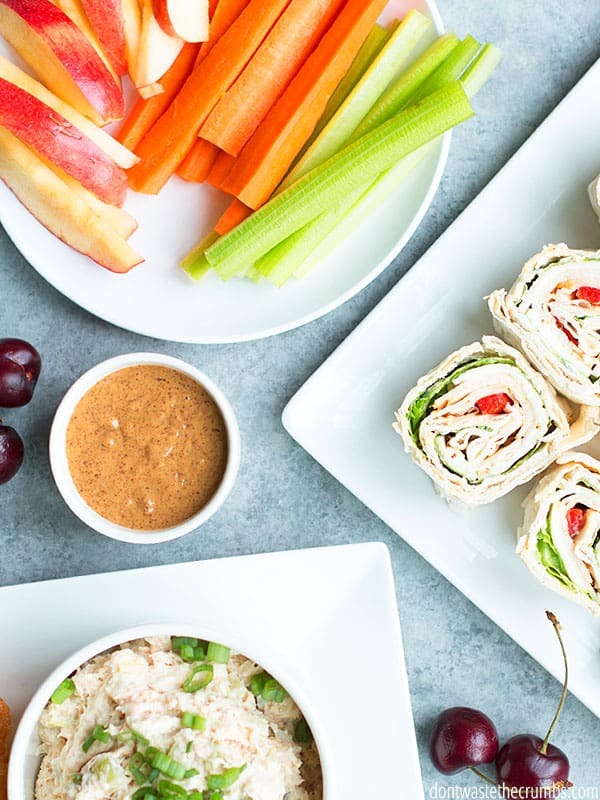 This meal plan doesn’t include any breakfast or lunch recipes because in my experience, the majority of families have personal preferences on what they eat for breakfast or lunch. Use the “Bonus Meal Ideas” section at the bottom to create your own breakfast and lunch menu. Those are just some ideas to get your started, but they’re there to help you use the ingredients you’re already buying! If you still don’t think this is enough food to cover breakfast AND lunches, buy a bag of apples and a container of oatmeal for breakfast and only add a few more dollars to your bill! 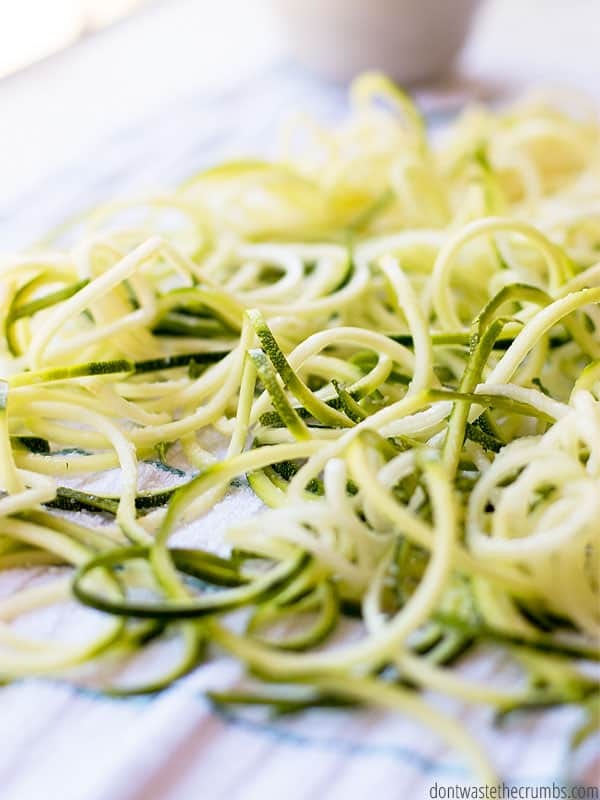 This plan uses all of the butter in one recipe – my Butter Parmesan Zoodles – can’t really have “butter” in the name and not use a lot, right? We get to use all of the parmesan this week. Adding it into salads and the yummy Butter Parmesan Zoodles. This is used in a couple of recipes this week including the Zucchini and Corn Salad and Tomato Basil Chickpea Salad Sandwiches. Red bell peppers are an amazing addition to the Cool Black Bean Salad this week adding a cool sweetness and crunch to the meal. I know cabbage can get a bad wrap but it is so delicious in my Cabbage Slaw, I serve it twice this week. These show up in two meal this week and are shredded. Be sure to check out “Bonus Meal Ideas” for what to do with leftovers if you can only purchase them by the pound in your area. Fresh lemon juice is used throughout the meal plan. You could easily substitute lemon juice instead as no zest is needed this week. I used celery in a few different meals including the Open-face Mediterranean Chicken Sandwiches and it adds a wonderful crunch to the meal. One of the yummy veggies in the Greek Salad this week. I have been seeing some amazing green onions at my local farmer’s markets and just had to include them this week! The same with the lemons, no zest is used this week so feel free to substitute lime juice if you have it on hand. From a planning perspective, since I only need one lime and don’t have juice on hand it is cheaper to purchase one lime instead of an entire bottle. I love including onions in my meal plans because they are so cheap. While they are rarely the star of the show they do add lots of flavor and store very well. This week I am using them in my Tomato and Onion Salad – they balance the tomato so well and add an amazing crunch! This week lettuce will be used in a delicious Greek salad. If romaine is still unsafe to eat in your area try a head of iceberg or red leaf lettuce instead. For a little twist I am using parmesan instead of feta! It goes further and tastes just as good. I used squash in my Zucchini and Corn Salad for this plan and while raw squash or zucchini may sound odd I am telling you it is delicious! Strawberry season is quick and if you blink you will miss it! We are just wrapping up the season in my area but I couldn’t resist adding them to this amazing salad – Strawberry Spinach Salad. If strawberries are too expensive in your area you can always substitute a granny smith apple or two and still have a wonderful flavor. Tomato season is right around the corner down here so I decided to get a jump start and try out a Sliced Tomato and Onion Salad. Normally I prefer to cook a whole chicken and use it in multiple recipes throughout the week, but since this is a no-cook plan I decided to go for canned chicken. While fresh is still my preference, canned it still doable. A staple in my frugal household, and one of the stars of the Cool Black Bean and Corn Salad. If you choose to cook your own beans instead of buying canned, I suggest soaking and cooking with this method or cooking in your Instant Pot. It’s super easy to cook a whole pound of beans and portion out for meals later. Changing up the flavor a bit, these are the star of the Tomato-Basil Chickpea Sandwiches served at the end of the week. I know these are expensive but they add such a unique flair to Mediterranean dishes that I didn’t want to leave out. You will be using the entire jar split between a couple of dishes in this plan. Even though these are technically a spice I went ahead and included them because you will need 2 tablespoons in the Strawberry-Spinach Salad. These will be used in the Strawberry-Spinach Salad this week giving us the crunch that is so amazing in a salad. Even though it is corn season, I still wanted to use frozen corn to put a nice chill on the Zucchini and Corn Salad and Cool Black Bean and Corn Salad. This allows your dishes to chill without using your refrigerator – just prep your meal and set the table and it’s done! Save all of your vegetable ends and make your own vegetable broth (uses normally discarded vegetable ends and peels). Use leftover spinach to make a frittata for breakfast (using leftover spinach, adding eggs). Add some carrot sticks and red pepper to your lunch for an easy side or snack throughout the week (using leftover carrot and red pepper, add a side of ranch dressing for the kids). Eat your remaining Greek yogurt for breakfast along with the remaining strawberries with sunflower seeds sprinkled on top. Add some bananas to make it go further for the entire family (using leftover Greek yogurt, strawberries and sunflower seeds, adding banana, etc.). Make smoothies (using spinach, strawberries, and Greek yogurt). 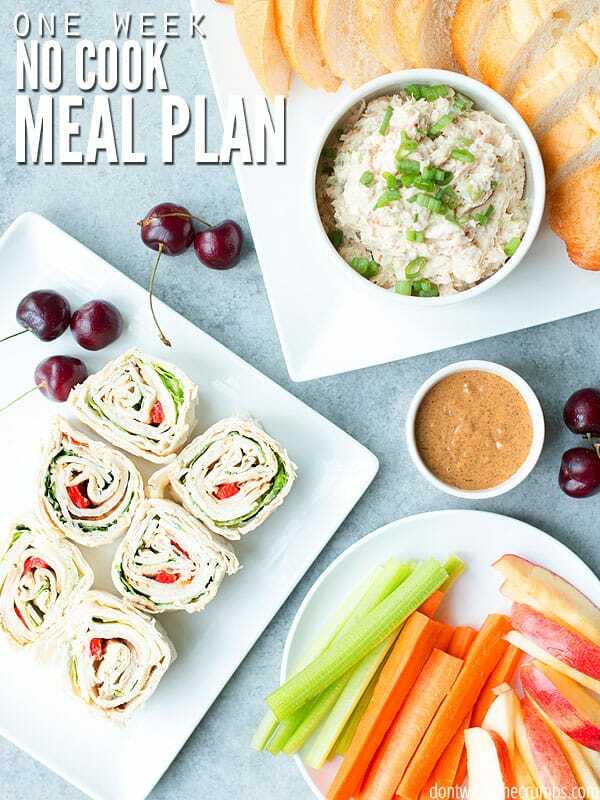 Try a no-cook meal plan! Don’t worry, you family will still be eating delicious, healthy food! 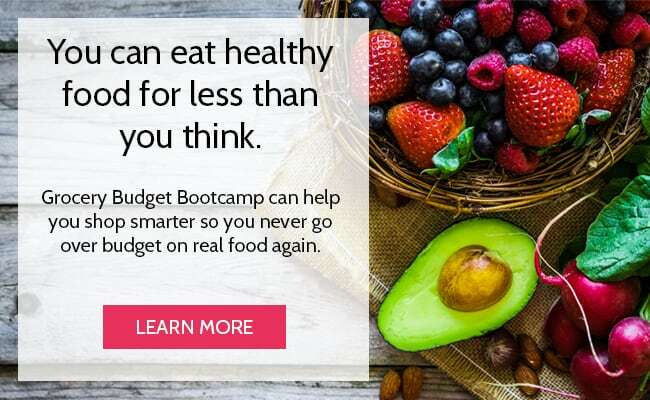 Although I DO suggest this as a “no-cook” meal plan, you can shed a few pennies off your total bill by making some of the ingredients from scratch. This plan uses beans, bread, and yogurt. If you eat those regularly, it makes sense to make them from scratch (here’s why)! If you are new to cooking from scratch or want to make your kitchen a healthier place, take the challenges in Clean Slate! 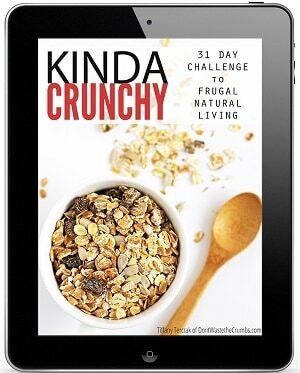 This ebook has 22 simple challenges to help you create a cleaner, healthier kitchen — while saving money on food. Find it HERE. What is your go to when summer is hot? Do you cook or keep it cool?